PM Kamla Persad-Bissessar Will Support Successful Graduates and Provide Them with Job Opportunities After Graduation. 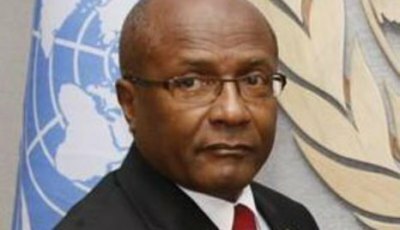 This morning, Fazal Karim, Minister of Tertiary Education and Skills Training, met reporters at the MIC Institute of Technology, to talk about Kamla Persad-Bissessar’s plan for advancing tertiary education and skills training, and providing job opportunities for graduates in Trinidad and Tobago. He was accompanied by a number of students who he had advised on how the People’s Partnership government could help them attain jobs after graduation. On September 7th, voters will be called on to make a critical choice. 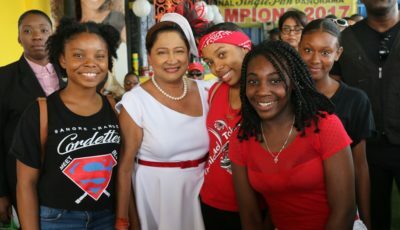 Prime Minister Kamla Persad-Bissessar has a plan to build on the achievements her administration has delivered, with new improvements to tertiary education and strengthening the economy to keep unemployment low. In just 28 days, voters will have to choose between building a strong, prosperous economy that ensures our young people will find well-paying jobs that lead to successful careers when they are ready to enter the workforce. 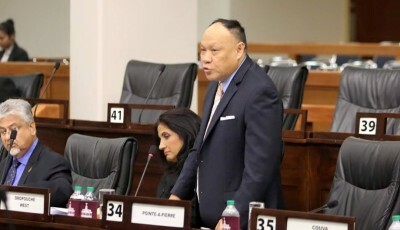 Or face savage cuts that will put opportunities for young people at risk and weaken our economy – returning us to the days of high unemployment all the challenges that come with it –under a Keith Rowley government. For further information and details of all aspects of the forthcoming campaign, please visit www.kamla2015.tt.